WOW! It happened!!! 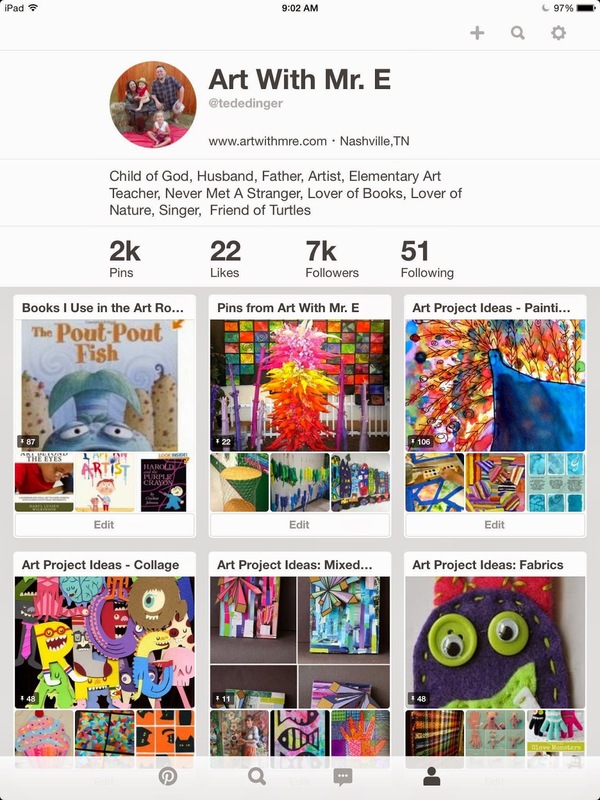 I broke 7000 "followers" on Pinterest. I started out needing 29 people to reach 7000...and ended up getting 40 new "followers" over Thanksgiving break!! HOW FUN! I love that there are so many art nuts out there wanting to explore new ideas with their students/children!! The journey is so much more fun when we take it together!! Art With Mr. E...you have seen my family grow!! Margaret is 5 (born the year I started Art With Mr. E), Eli is 3, and Caroline is 7 months!! They are such a source of joy for me!!! I hope you have gotten to enjoy your family & friends so far over the holidays...and will continue to do so throughout the year!!! Beautiful kids. WOW! I have been following since then. I can remember when you hit 100 followers on your blog. Where does time go...... I love all of your art projects. Thanks for all of your sharing & God Bless and Merry Christmas.